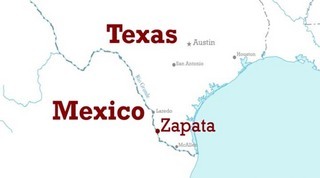 Mariachi High: Viva Zapata, Texas! 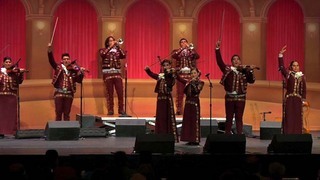 "Mariachi High" premieres on PBS on Friday, June 29 at 9 p. m.ET (check your local listings). A DVD can be pre-ordered at www.pbs.org for August 14 release. It will also be available digitally in August via iTunes and Amazon. Having had the good fortune to attend a high school with a vital arts program, I am a sucker for documentaries about the transformative power of arts and humanities education. 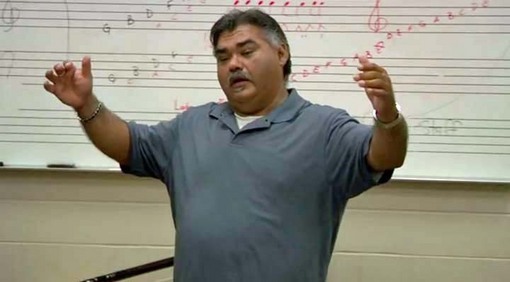 "Mariachi High" hits all the right notes: An underdog school district, a dedicated teacher, fiercely talented and determined students, and character-defining setbacks that raise the stakes for those "exhilarating, off the charts" moments of truth. "Mariachi High" chronicles a school year in the life of Zapata High School's championship varsity-level ensemble, Mariachi Halcon. Zapata, a small Texas border town (pop: 5,089 in 2010 when co-directors Ilana Trachtman and Kim Connell began filming), is somehow "a big talent gene pool for Mariachi," observes the ensemble's director Adrian Padilla. To say the school of 900 does not enjoy the advantages of big city schools is an understatement. One Zapata student recalls comparing eighth grade school trips with a friend. Her friend's school traveled to Washington, D.C. The Zapata kids visited an aquarium. But Mariachi is where they make their mark. "Mariachi High" captures the ensemble in something of a rebuilding year. 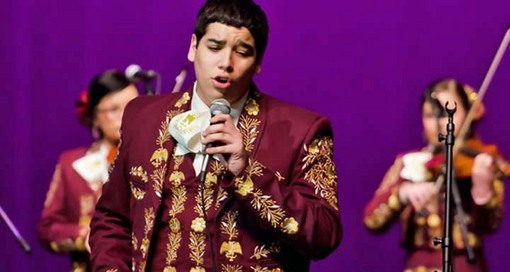 Beginning with auditions, it charts the group's progress as it prepares first for the national Mariachi Vargas Extravaganza held in San Antonio, and later the All-State Mariachi Championship. "They will be representing the school, the district, their families, the county, you name it," Padilla declares. 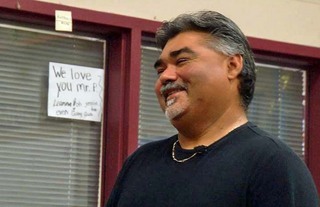 With a fleeting run time of less than one hour, "Mariachi High" is at something of a disadvantage in being able to spend more quality time with Padilla, the students, and their families, but through interviews, rehearsal and performance footage and family photos, this inspiring documentary is able to effectively underscore the impact of Zapata's program on their lives and the importance of music in staying connected to their cultural heritage. "We try to instill that pride (of their heritage) in their music," Padilla states. "We tell them, We are going to keep your ancestors' memories alive by playing this music." 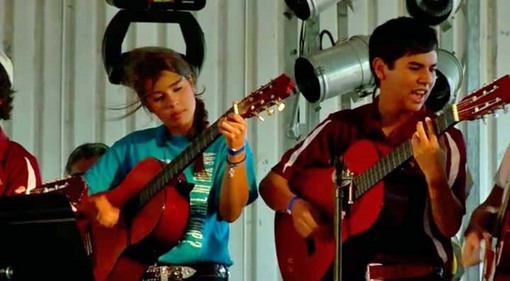 Some of the film's most heartening scenes involve the parents expressing pride in their children's musicianship. One emotional dad remarks on listening to his son sing. "I hear him and I'm speechless," he smiles. "I've got a lump in my throat. I'm just proud of him." There are three themes at the heart of documentaries like this and that make the Zapata story a natural for a feature film dramatization (I see George Lopez as Padilla). The first is children in peril. One student's father, standing in his backyard, regards Mexico, which is just across the river. "There're drugs right across the border," he states. "That's where it comes into the United States." The second is arts education in peril. Trachtman and Connell eschew statistics to make the more resonant point with a climactic performance by the ensemble at the Texas state capital. As one state representative notes, "This shows the importance of funding cultural arts programs that enrich our public schools." 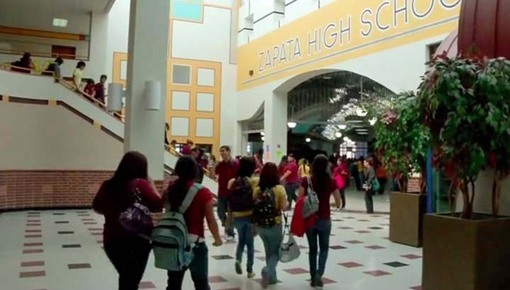 Zapata High School itself is a testament to the third theme, the impact of arts engagement on young people's lives. The school, Padilla states, once suffered a large dropout rate, with students "boom out of school" to take jobs at the age of 15 or 16. "My kids," he notes proudly, "are in the top 10 percent of the class." There is, of course, tremendous rooting interest in whether or not Mariachi Halcon reclaims its title. But "Mariachi High" is more focused on how the experience of playing and competing at the highest level opens up a world of opportunity. "One of my passions," Padilla declares. "is to get these kids out of this small town and experience the rest of the world." 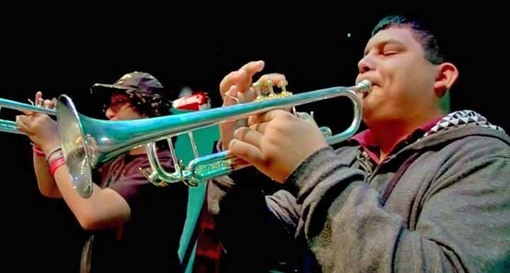 That passion is "Mariachi High's" most thrilling music and the program's final images of graduation and goodbyes will resonate with a universal message that even in the smallest communities, all things are possible: "Don't stop here."